The offbeat publisher returns for another round of madness. 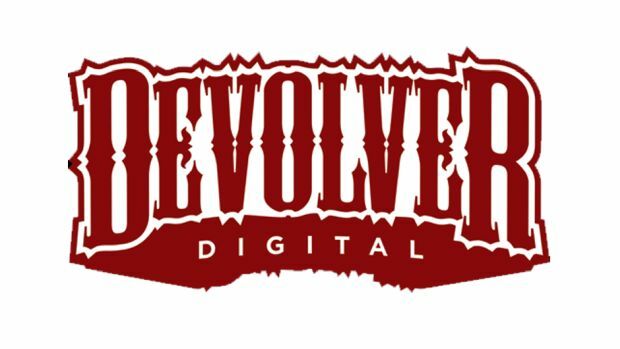 Devolver Digital, known for publishing titles like Hotline Miami, Serious Sam and Ruiner, has announced an E3 press conference for this year. It will take place on June 10th, 8 PM PT/11 PM ET and can be viewed on Twitch. Dubbed the “Big Fancy Press Conference” and taking place in the Dave Lang Memorial Convention Center, a fictitious place, Devolver Digital has promised quite a bit this year. “This year’s Big Fancy Press Conference will feature real, actual game reveals and technological innovations from Developer Labs, the research and development arm of Devolver Digital responsible for last year’s Earliest Access program and making ‘throwing money at the screen’ a valid form of payment. There will almost certainly be blood, possibly loss of life,” the publisher stated. If you skipped last year’s conference, then rest assured that it was a fever dream unlike any seen at E3. The conference as a whole made fun of numerous industry practices while also featuring some very real games. With Serious Sam 4: Planet Badass to be revealed this year, Devolver Digital’s conference wouldn’t be the worst place to do it. Or so we’d think. E3 2018 will begin on June 12th till June 14th. However, the pressers will actually commence on June 9th with Electronic Arts’ EA Play event. Bethesda Softworks and Microsoft will follow up with their own pressers on June 10th.